The goal for any of these lessons is for the student to read the material, look at the Power-point presentations, view the U-tube videos and review the Industry Canada exam questions. There may be additional information given. If you are attending a radio course, then it is expected that you will have done all of these before attending the class. The idea is , at the beginning of the lesson, the instructor will clear up any questions you may have and then continue on with hands on experiments, show and tell, operating radios and setting up stations, building antennas etc. 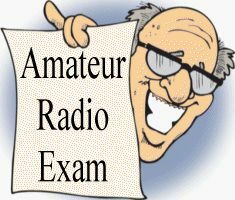 Want to write your amateur radio exam or upgrade what you have? This online course utilizes the Coax Publications Study Guide although any study guide could be used. They have excellent written material, regularly updated, with web access for students to use the Student Success Pages to self check and ask questions. In addition, Coax Publications also has available, for those interested, instructor guides to make putting your course together super easy. The online material presented here is an attempt to assist those who cannot attend a formal course. It's fairly easy, read the study guide material, view the video presentations and test yourself with the Industry Canada questions. This page has been visited 1276 times! Course Outline and study requirements. Click on the Lessons to open a new page. Are you interested in becoming a Licenced Radio Operator. The location for this course is at the Owen Sound & North Grey Union Public Library, 824 1st Ave W, Owen Sound, ON N4K 4K4. Starting on March 9, 2019 between the hours of 9:30 - 13:30, Saturdays only for a total of 8 classes. If you are interested use the "Contact US" link at the top of any page. 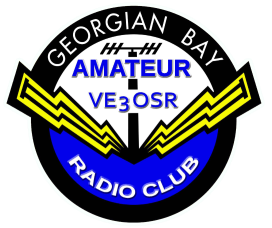 Any Amateur Radio Club may use any content found here for the purpose of promoting amateur radio.